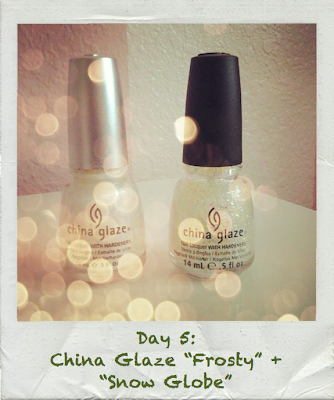 What I Blog About When I Blog About Books: 5th Day of Christmas: China Glaze "Frosty" + "Snow Globe"
5th Day of Christmas: China Glaze "Frosty" + "Snow Globe"
For the 5th Day of Christmas I have a manicure that I loved wearing last winter and still love for this coming winter as well. 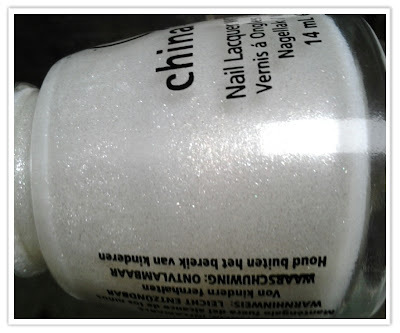 The combination of China Glaze's "Frosty" and "Snow Globe" really create the effective of a gorgeous, glimmering snow globe. As I mentioned in several posts already, China Glaze's "Frosty" is going to be a reoccuring color in my 25 Days of Christmas Manicures. Its subtle shimmery quality makes it perfect as a base for a various number of manicures. Now, China Glaze's "Snow Globe" is probably one of my favorite polishes of all time. 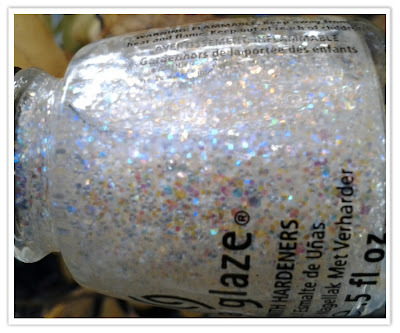 I initially got a bottle last year when China Glaze released it in its hoilday collection and I fell in love. I layered it over an abundance of polishes and ended up using half the bottle. And like many China Glaze glitters, "Snow Globe" got goopier, eventually to a point where it was unusable. Luckily, it was still available on Transdesign so I hurriedly picked up another bottle. I'm in the process for trying to find a dupe for this polish seeing as it may get harder and harder to get a hold of, and I'm not all of too fond of it's ability to thicken up quickly. "Snow Globe" provides an iridescent glow while still remaining sparkly and eye-catching. It's in a clear base which makes it easy to layer over many different polishes. 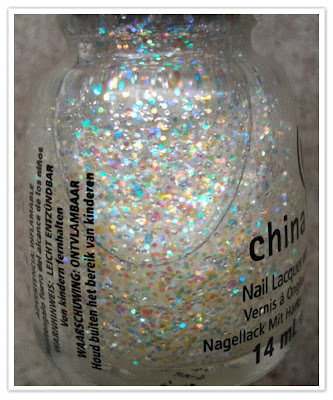 Part of makes this polish one of my all-time favorites is its versatility. Layering these two polishes, makes a combination that I love to repeat sporting. It really does look resemble the inside of a snow globe. 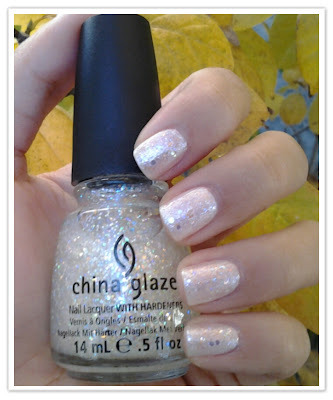 I think this polish combination is not only great for the winter holidays, but for the rest of the season as well. I can see this combination looking great on every skin tone. Thanks! It's the exact combination you asked me to tweet a picture of almost a year ago that lead to my obsessive nail photographing behavior.